Each gallery focuses on a different era of Vietnamese history, starting with the stone age and proceeding up through the French colonial period as you move clockwise through the building. Of particular interest are some sandstone sculptures from the seventh and eighth centuries, Roman coins from the second century and a collection of cannons from Hue in the nineteenth century. The museum also hosts special exhibits. When I visited, the rotunda hosted a collection of wooden imperial furniture. There's also a small water puppet theater that puts on short shows, but nothing like the national water puppets theater in Hanoi. The Museum is open Tuesday to Sunday from 8:00 to 11:00 and 13:30 to 16:30. Admission is 15,000 Dong (-15,000.00 USD). 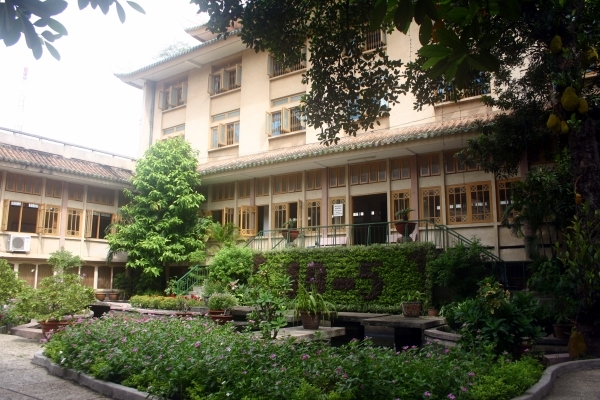 You can enter the museum from either the zoo or directly from Nguyen Binh Khiem Street.